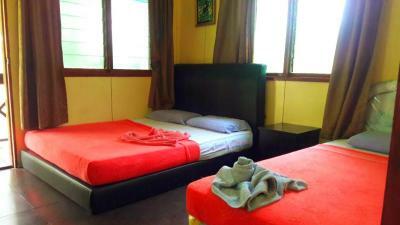 Lock in a great price for Sukau Backpackers B&B – rated 8 by recent guests! Very good value compared to the other places nearby. Rooms are basic but it’s as you’d expect. There is no wifi so it’s good for completely disconnecting and relaxing. Tours v good , would recommend morning and afternoon tour especially. Guides very good at pointing out wildlife. The room is very big and comfy, bathroom clean. The dinner was really good. Since we checked out really early they prepared us breakfast the night before so we could eat something before we left. The staff is really friendly and you get to know other travellers since you share the boat tours. The room is ok, a wide cabana with a decent bathroom. The afternoon boat was good, we saw many animals from the river. The environment and atmosphere of b&& was nice. Room had good AC but window does not close well. We saw lots of monkeys and some birds but you will not see elephants. The accommodations were simple. The food was tasty, BUT the river tours were amazing! 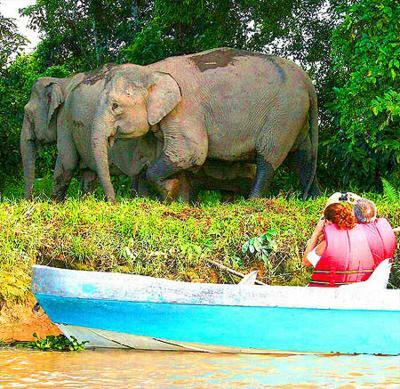 The boatman had an unbelievable eye for spotting wildlife. The guide was very informative! Highly recommended tours! The river cruises were wonderful and the guides were very nice. AC was nice in the rooms and the grounds were beautiful. Amazingly friendly staff. The guides were excellent at spotting wildlife. Very enthusiastic! The food was plentiful and really tasty. Fair prices for tour package. Comfortable rooms with hot water. The hotel is great ! Bungalows are lovely, with A/C, the homemade food is tasty and the staff (The 2 girls and the guide) are kind. 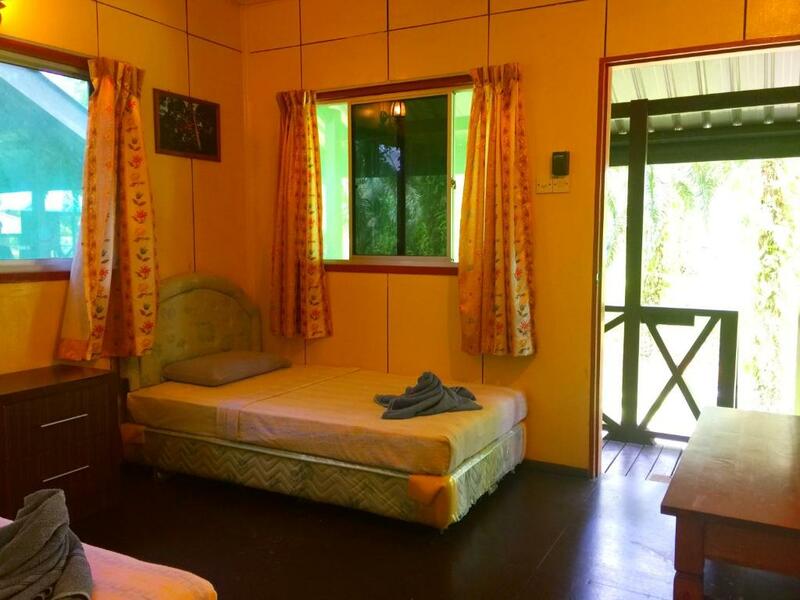 With garden views, Sukau Backpackers B&B is located in Sukau and has a restaurant and room service. 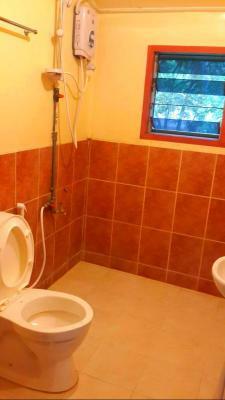 This property is also rated for the best value in Sukau! Guests are getting more for their money when compared to other properties in this city. 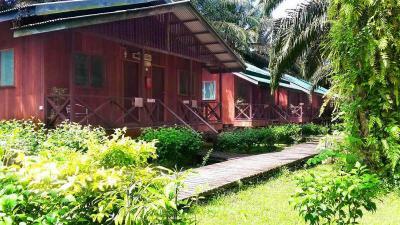 When would you like to stay at Sukau Backpackers B&B? This family room features a balcony, seating area and fan. House Rules Sukau Backpackers B&B takes special requests – add in the next step! Please inform Sukau Backpackers B&B of your expected arrival time in advance. You can use the Special Requests box when booking, or contact the property directly using the contact details in your confirmation. I felt that we got far too close to the macaques; our driver barged into the tree they were in which disturbed them, I was caught in the hedges and got cut and the monkeys were above us, peeing on the boat. Our boat driver didn’t seem too bothered but I felt it was too stressful and invasive and there should be more respect given to these wild animals and their environment. The room itself was a complete disappointment. The bathroom was dated, falling apart and dirty. The bed had a huge hole in the headboard above our heads, the curtain had a hole in, the plug socket was falling off the wall, the mattress was very worn, the sheets and duvet were old towels and the paper on the ceiling was falling off. Not great and we expected more for the price. We were also nearly over charged on arrival, we were told our room was more (170rm for 2 nights) than what we had agreed on booking.com (150rm for 2 nights plus 6% tax so 159rm). They dropped the price when I showed confirmation so make sure you’re armed with your confirmation if you booked online. The staff were all very friendly and advised us about what tours were available. We chose not to do the 2N3D tour as we felt that 4 boat rides was a bit much. We chose 2 boat rides, a couple of meals and transfers which worked out a lot cheaper and left us feeling like we’d seen what we had wanted to. Both our boat rides were mostly fab except for something I will discuss below. We saw macaques, proboscis, an orangutan, crocodiles, lizards, hornbills and some kingfishers. Food provided was pretty good. Location of the rooms was peaceful! Nic, friendly and helpfull tour guides! Yes, the pillows were hard, but so what? Great staff clean rooms, great service. They attended to our veg needs and the tours on the river were great. Saw plenty of proboscis monkeys, and others saw orangutangs. This was the perfect place to stay in Sukau. The accommodation was great and a 2 minute walk from the river. The room had mosquito nets, a decent fan and private bathroom. We did the 2 night package and every cruise was truly magical. Our Tour guide Mus was amazing at spotting wildlife and he had great knowledge about the river and animals. The food here was also great and good sized portions. Hard bed. Same all over Asia ! No outside seating or hammock to read a book or snooze between trips. Getting up at 5:30 !! Room wobbly when next door guest walked about ! Threadbare coverlet so had to wear jumpers etc at night as got quite cold. Right next to jetty. Friendly helpful welcoming staff. Hot water. A/ c and fan if needed. Large breakfasts and delicious coconut stews. Large rooms. Beautiful setting. Small shop. Quiet and loads of fantastic trips with really excellent guide Lang. Totally amazing what he spots. 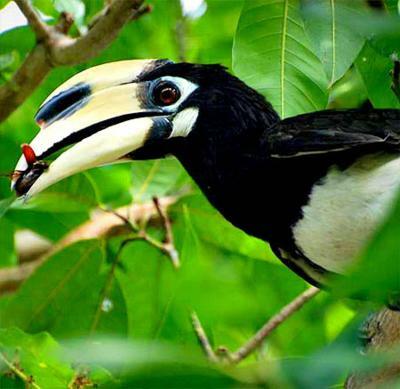 Don’t expect to see a specific animal as their appearance depends on feeding patterns / fruits etc. Def. do the night trips. Would love to come back. Stay at least 2 nights if you can. Pick up was 40 minutes late. Bathroom door was broken, bathroom itself was not clean at all; spiderwebs. Power point was very dodgy, lightbulb was loose, air-conditioning was very noisy, beds are old. All food, dinner and lunch was very salty (vegetables and chicken). The guides for the river cruises and jungle walks were awesome! Got to see many many monkeys of all sorts. Breakfast was limited but nice. The atmosphere was odd, well there wasn't an atmosphere. It was very quiet and the staff did not engage, they were definitely not very happy or helpful. Breakfast was good and the evening meal was good but at 20 myr, expensive for the area as are the boatrips. It's quite a walk to Sukau l was booked to stay for 4 nights but only stayed one, transferring instead to a bomb in the village which was wonderful and a lot cheaper. I paid for 2 nights though as l didn't check out until after 11am which l was happy to do. 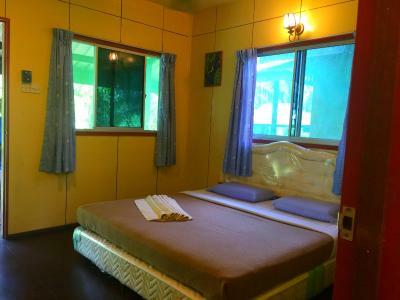 The rooms which are cabin style with a balcony are large, clean and comfortable with a n ensuing bathroom. They are set within very attractive surroundings Close to the river. They accept cash only! The nearest atm is 1 h drive away so make sure you have enough cash with you. Very simple accomodation. 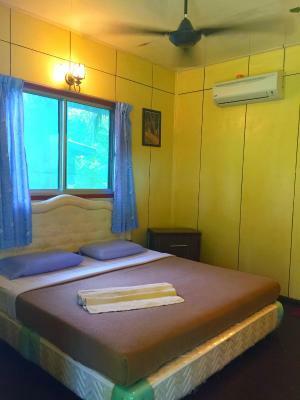 The rooms are quite old but bed was comforatble and vlean and ac was working fine. River is 100 m away. Staff is very nice. Just one chair on the veranda. River safaris are a bit expensive but nice. Nice location, very close to the river.